I’m something of a highlighting queen, if I do say so myself. I was never one for contouring—perhaps because I’m not particularly good at it—but there’s something about the flattering nature of a well-placed shimmer that always caught my eye. So when strobing came onto the scene as contouring’s lazy-girl counterpart, I was psyched. And now that Hourglass has launched a new batch of illuminating powders, I’m over the moon. Highlighting, in technical terms, is a way to use light to create depth and dimension for a refined but natural look. This product contains ultra-fine pearl particles that add a candlelit glow to the skin without looking glittery. While I can get down with disco every once and a while, I usually opt for a sparkle-free face, so it’s perfect. A few swipes of this sheer powder—along your cheek bones, cupid’s bow, bridge of your nose, and inner corners of your eyes—and your skin will be bathed in a celestial gleam. Refer to this lovely diagram on exactly how to do it. 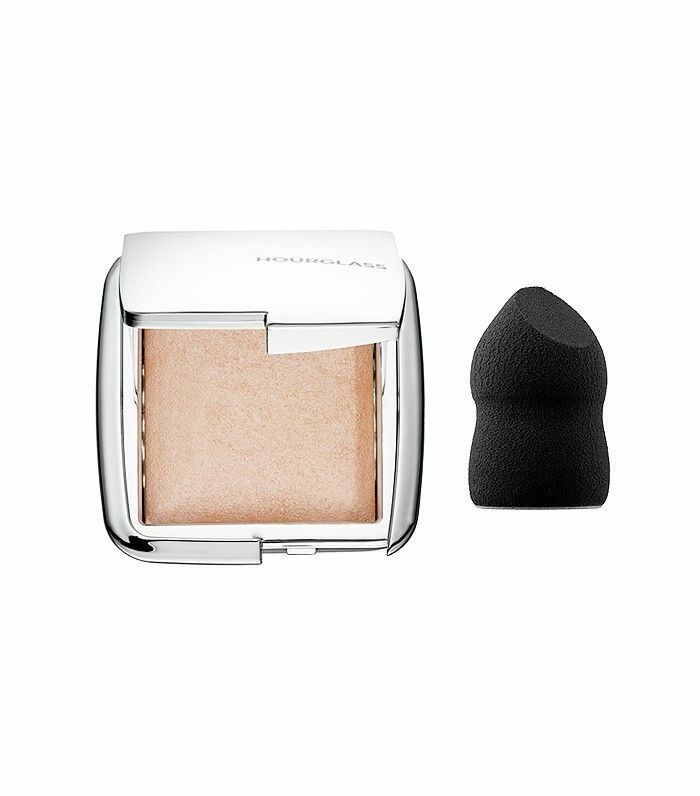 What’s more, this offering is accompanied by the Hourglass Ambient Strobe Light Sculptor ($22), which looks like a beauty blender but with a different shape. The sponge is uniquely designed to intensify the effects of the powder. The dual-ended sculptor has angled sides to fit easily on the high points of the face and a soft side to blend. What’s your favorite highlighter? Sound off below.